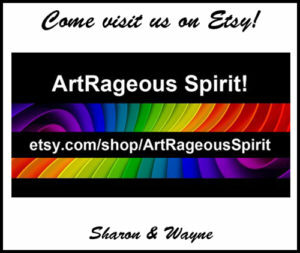 Simplicity Pattern 8028 | Simply Art-Rageous! After making a variety of purses by following–and modifying–various online tutorials, I decided to see how I’d do with an honest-to-goodness, traditional paper pattern. I purchased Simplicity pattern #8028 and decided to first try view C, which is the one on the top left in the pattern envelope picture. 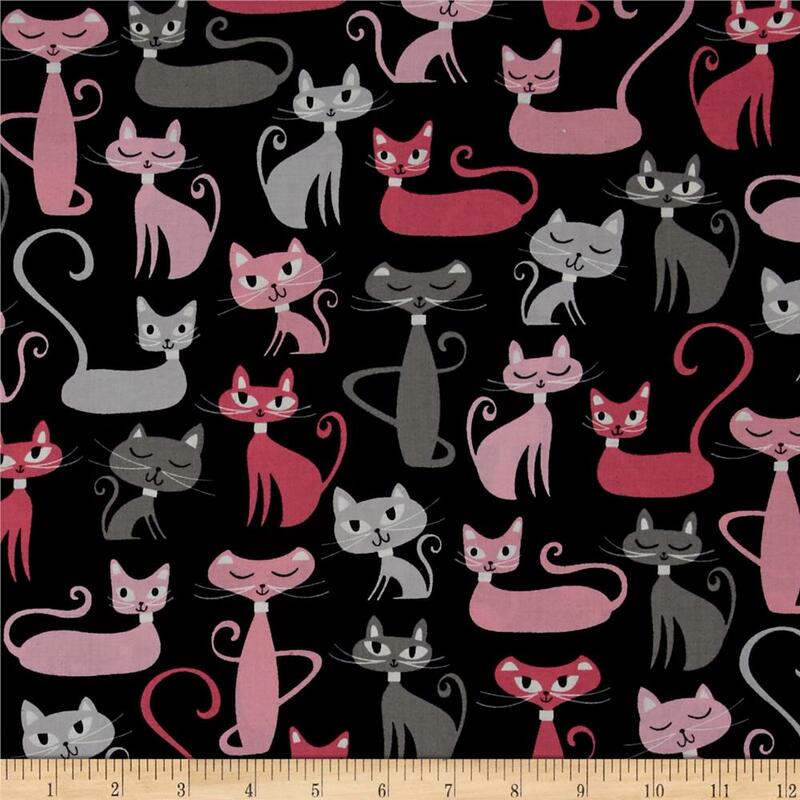 Since I still have a lot of the “Whiskers and Tails” fabric I’d ordered a while back, I chose that for the “main” fabric, and instead of the faux leather (as shown in the example on the pattern envelope), I decided to use just black fabric for the bottom band. I guess I’m spoiled by tutorials–video tutorials, especially, but also step-by-step still pictures, which tell you to cut the fabric this size by this size–because I found the whole process of cutting out the pattern, and then pinning it to the fabric, and then cutting out the fabric pieces to be beyond tedious. Seriously. The first piece of the pattern showed it placed on a fold, with the fabric turned right sides facing. That was the way the pajama pants pattern was written, too, but after cutting out the first pieces for the purse, it made absolutely no sense to have the main fabric open just on one side. 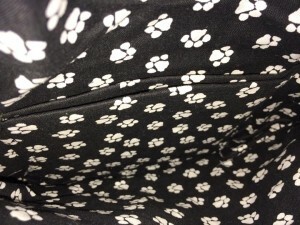 It literally took me a couple of days to figure out that the fabric needed to be folded, but that the pattern didn’t need to be ON the fold… Major “ah ha” moment, so I cut the one really wide piece into two narrower pieces to have a definite front and back. The NEXT issue involved my choice of fabric, which has an obvious direction. A non-directional or all-over fabric would be fine at this stage, but the cats on the fold-over flap would have been upside down if I’d simply followed the pattern. Maybe there was something mentioned about this somewhere in the directions, but I didn’t see it…. 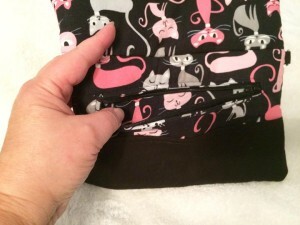 In order to have the cats right side up on the front–and right side up on the back–I had to cut the fabric into two pieces and sew them together where it was supposed to fold over to create the flap. Done properly, I probably should have added a narrow black band to separate the pieces rather than running right side up and upside down cats together, but by that point I just wanted to get on with it! But with pieces cut out–and finally understanding the basic concept of the design–I put the directions away!! 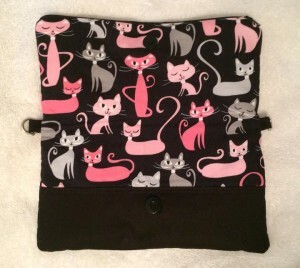 I also decided I wanted a zippered pocket on the back of the purse, even though that wasn’t part of the printed pattern. Long story short(er), I think it turned out okay. Still need to make straps, and reviews said to add at LEAST 6″ to the strap if you want to use it as a cross-body. 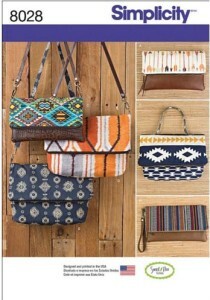 Other choices for Simplicity pattern #8028 are for a clutch or wristlet. 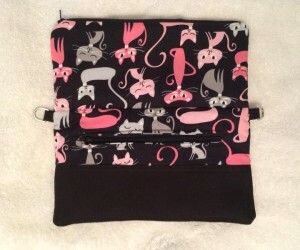 Personally, I think it’s too large to be a good wristlet type purse since the finished size is 10″ wide x 6″ tall (when folded over and closed). Open view of the front. You can just barely see the black magnetic closures I used. There’s a zipper that goes along the top edge. Open view of the back. 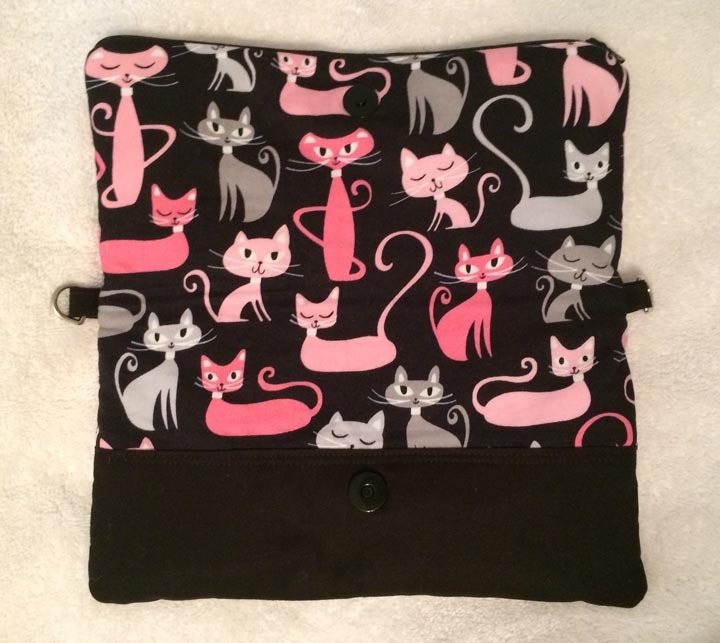 You can see where I changed directions on the cat fabric, and you can also see the zippered pocket I added. 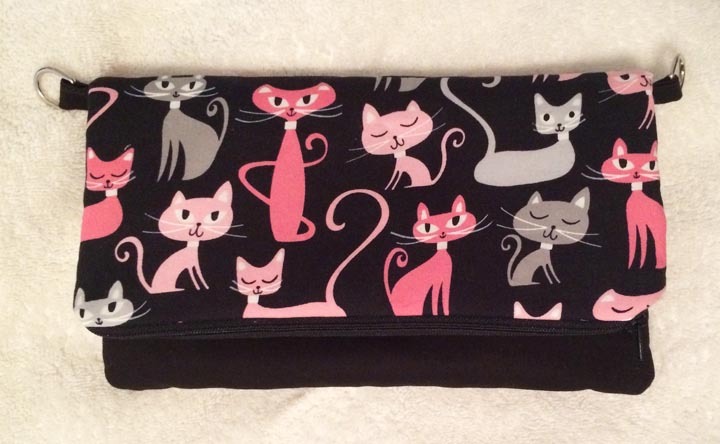 I used the main fabric for the pocket lining on the back of the purse. 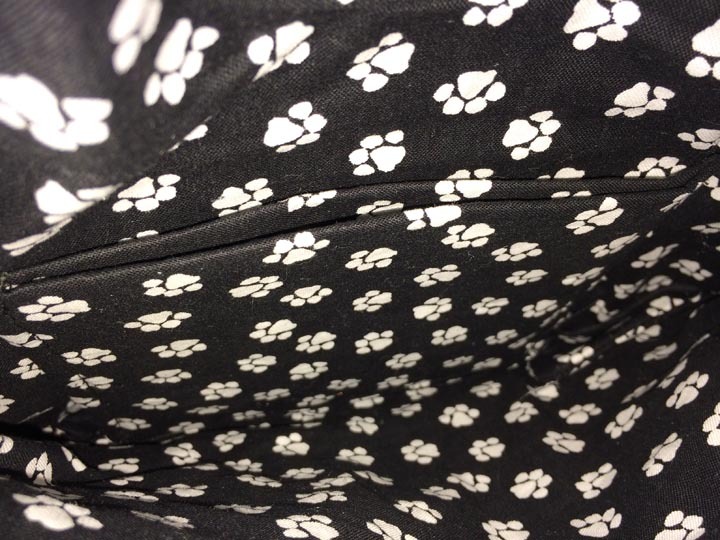 I used a black and white paw print pattern for the interior lining. There’s a double slip pocket on the back wall of the purse. So definitely a mixed review here…. If you’re really good at following traditional printed patterns AND you’re really good at using the materials that are called for in traditional printed patterns, then you’d probably do fine with Simplicity 8028. But if–like me–you’re NOT necessarily good at following traditional printed patterns AND you’re not planning to use the materials that are called for, AND you want to add other features, you might find it frustrating! That said, now that I understand how it works, it would actually be very easy to put together another one! I plan to test this one to see if I like it enough to make another one of the same style. For my needs, I think this one is going to be too small to use as an every day purse when I carry all manner of things in a purse, but too big to use when out on adventures when I just carry the basics…. 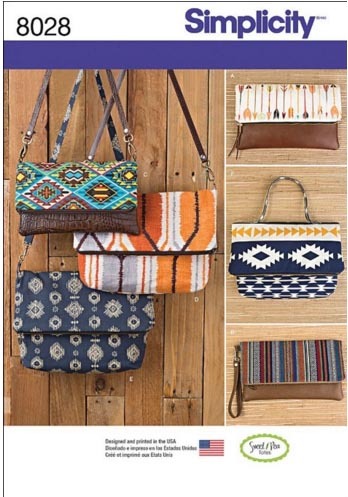 I might try to make the larger purse that’s just below (to the right) of this one, and I think it would be kind of fun to do one with faux leather on the bottom. Personal preference, I’d probably opt to quilt the main fabric, simply because I like the look. And a back zippered pocket on anything is definitely a must. This entry was posted in Sewing & Crocheting. Bookmark the permalink.